The threat of a cyber attack seems only to be increasing in healthcare. Recent reports show security issues include losses by large and small providers. Based on the reports in the media, it would appear that no one is immune to this threat. 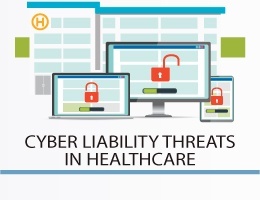 Before we look for ways to minimize cyber risk, it's important to understand the state of healthcare cyber liability. Learn more about Information Security Tips for Healthcare Professionals in our online CME course.